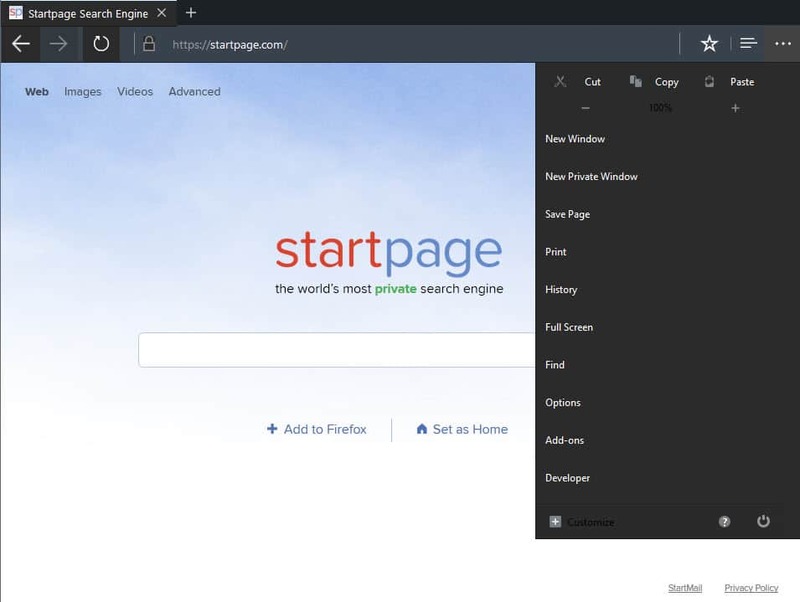 If you like how Microsoft Edge looks but prefer to use the Firefox browser, then you may be able to get the best of both worlds by installing the third-party Mozilla Edge theme in Firefox. I don't particularly like the looks of Microsoft Edge as I think it is too minimalist not only in functionality but also in design. But, tastes differ and there are certainly users out there who prefer Edge's design over that of other browsers. If you are one of them, you may be able to turn Firefox into a Microsoft Edge copy without sacrificing functionality in the process. Before we take a look at the process, I'd like to show you a screenshot of how the fully converted Firefox looks like after you have made the changes to the browser. You need to install the Stylish add-on in the Firefox web browser which you use to add instructions for the theme to Firefox. And you need to install Buttons Back, a Firefox add-on that moves the stop/reload and home buttons back to the start of the address bar. Download the theme from Deviant Art once you have installed the two add-ons in Firefox and restarted the browser. Extract it afterwards on your system and open the folder afterwards. Open the Main Theme folder and load the text file located in it in a plain text editor. Use Ctrl-a to highlight everything and Ctrl-c to copy the contents to the clipboard. Switch to Firefox afterwards, load about:addons in the address bar and hit enter. Switch to the user styles sidebar entry and select "write new style" from the top. Enter a name for the new style and paste all contents into the editor afterwards using Ctrl-v. Click the save button in the end to complete the process. You should see the changes immediately as the style information are picked up by Firefox automatically when you hit the save button. If everything went well Firefox should now look a lot more like Microsoft Edge. This not only includes colors and the general layout of the browser but also the menu which looks more like Edge's menu when you open it as you can see on the screenshot above. I have not tested this under older versions of Windows or other operating systems but I see no reason why the theme should not work in those versions as well. You can undo all changes at any time by disabling or removing the Edge style again from the Firefox browser in the add-ons manager.